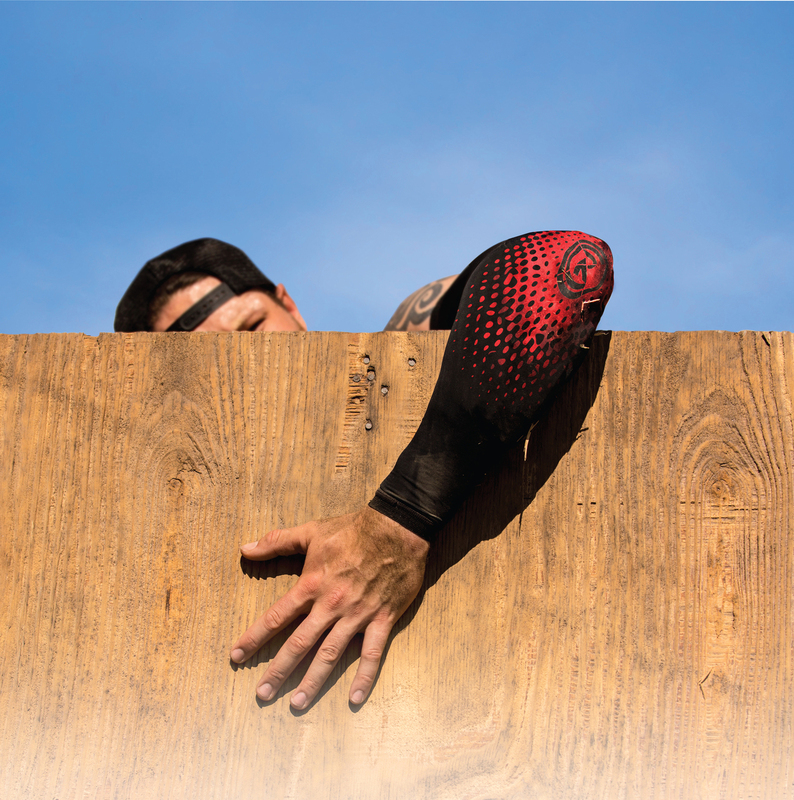 The RockTape Arm Sleeves fit to size based off their sizing chart on the website. The sleeves are available in three sizes. The sizing chart is included below for reference. My arms were right on the cusp between Medium and Large. I opted for the smaller size. They fit snug with little slack. The sleeves were extremely comfortable and weren’t as noticeable as other compression gear. One factor that a lot of racers fail to take into account is how the product deals with water and/or mud. This is important as many races have you constantly in and out of liquid. I have not ran a full OCR with these but from testing during training they do not retain a noticeable amount of liquid. The sleeves were exposed to many elements since I do a lot of workouts out side, the sleeves never gave off a ‘water-logged’ feel. The bands are tighter than other compression probably to keep unwanted foreign objects from getting into the sleeve and avoided sacrificing comfort. I am quite impressed with how much protection they provide! OVERALL RATING: 9.9/10 - I have worn many different arm sleeves for arm protection while throwing and pitching, these are by far the most comfortable and durable sleeves I have ever worn! They have an unbeatable price as well, and for a limited time come as a free gift when you spend $50 on the RockTape Website! I had the same great experience with the calf sleeves. Actually, I was able to use my calf sleeves in more ways than I ever expected. However, with my RockTape Rock Guards Shin they literally melt into my skin, and I can wear them post recovery for as long as I want! Similar Comfort, Fit, Function, and Durability as the arm sleeves above! 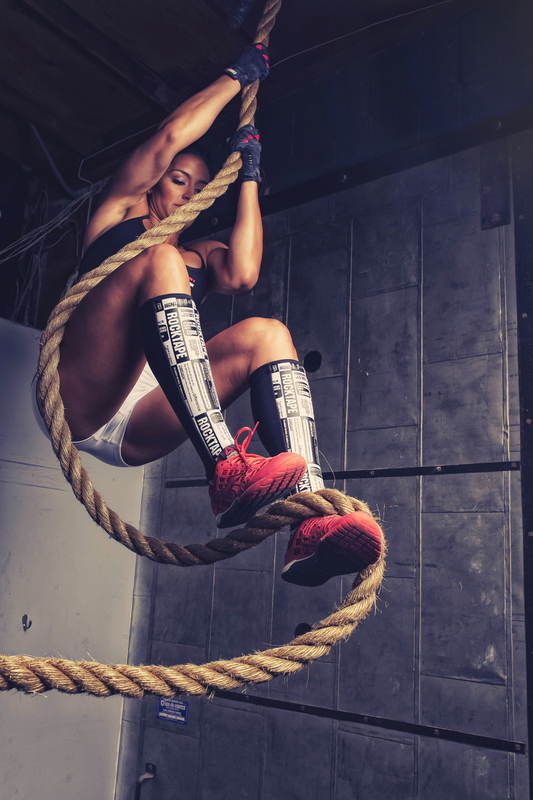 However the calf sleeves come with a couple extra features such as a 2" Zipper for secure fit and easy removal, Footstrap to keep in place during functional training and running, and finally a 5mm Neoprene Shin Guard pad to protect you from rope burn, deadlift bruises and double under lashes! Overall, I highly recommend these Calf sleeves to anyone looking for active support for endurance, protection from the elements during a race, or even for all day post recovery. OVERALL RATING: 9.9/10 - Once again RockTape's Protection sleeves do not disappoint! Head on over to their website via my Referral link to get a pair of your own!